This first ran in January, 2010. How did spelling in English get so messed up? If you have a child who is learning to spell, you may have taken the approach that I have – there’s no rhyme or reason to how it happened so you simply have to memorize it. It turns out that there is a reason, if a bit convoluted, that is often hidden in the rhyme. It’s a small comfort for the many people around the world, young and old alike, that have to learn how to write the most popular language, but it’s at least a great story. Shakespeare happens to appear right in the middle of the transition to Modern English. The Great Vowel Shift occurred between 1450 and 1750 for reasons that are not entirely well known. During this time, our language evolved from Middle English to Modern English through a process that appears to have finally bridged the gap between different classes and ethnic origins. The “continental” pronunciation of sounds based on Latin and Italian gave way to more regional lilts at about the same time written English was catching on through the printing press. A popular explanation is that mass migration after the Black Plague is responsible for the mixing that made it happen, but no one is really sure. What we do know is that there is a written record of just enough of the shift that it can be traced through the culture, as Otto Jespersen (who was, incidentally, Danish) first noticed. Examples can be found in nursery rhymes that were published at various times. We know that in the classic “Jack and Jill” that the stanzas would have rhymed when they were written, but today we find it hard to see how “after” and “water” could have possibly made the grade. A careful reading of this and other rhymes showed distinct patterns that were emerging over time. There is a wikipedia page on the Great Vowel Shift that traces this evolution in great detail, and it’s a must-read for anyone who wants to know the details. The short version is that vowels went higher in the throat and closer to the lips. 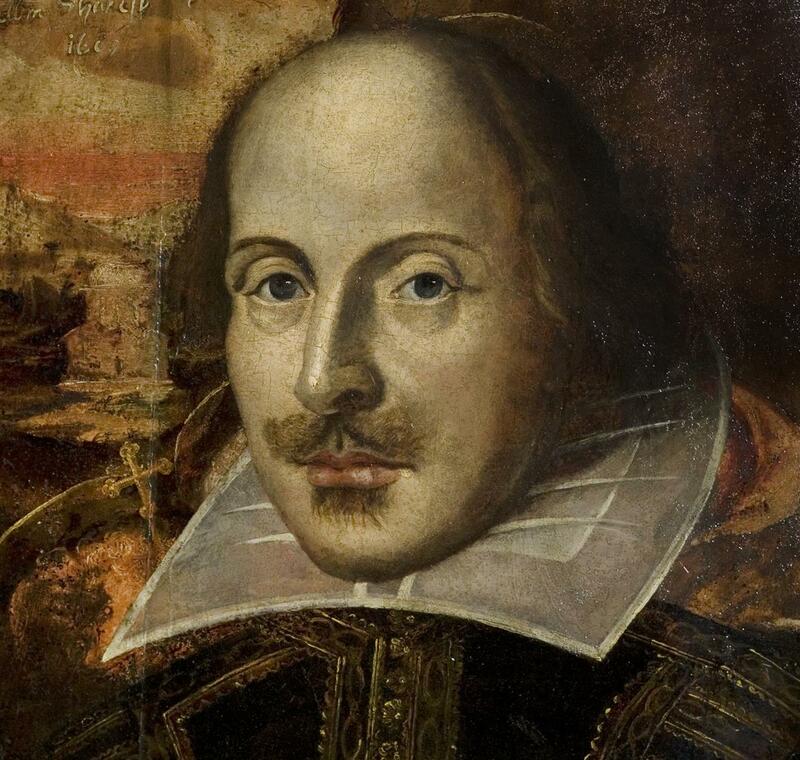 To see how this becomes a problem for us even today, you have to realize that Shakespeare lived right in the middle of this period, a time when English was emerging as a language of poetry, literature – and conquest. Things were first being written down even as they were changing in both sound and cultural context. The result is a muddle of spellings that trace themselves to a small slice of time in the middle of great upheaval. For those of us who are “into it”, there is one spelling in particular that deserves a lot of attention – the “ough” combination. There are at least ten pronunciations for this combination of letters, ranging from “cough” to “through” to “dough” to “bough” in most common usage. Each of these was standardized at a different time during the Great Vowel Shift, causing the confusion that we have today. This appears to be a problem unique to our language because Modern English, as we know it, is very young. Other languages were standardized before mass printing technology and remained in the hands of the monks and other scholars who wrote everything by hand – and remained in control of the spelling, grammar, and so on as a tight-knit social class. Noah Webster attempted to standardize spellings in 1785, but his efforts only caught on in the USofA, creating the separate American English that often only adds to the confusion. In the end, we’re stuck with it. If there is another supposedly phonetic language, other than French, with this much deviation from regular spelling I’d love to hear about it. What we are left with is a language that, for better or worse, has a chaotic enough origin that it has always welcomed new ways of speaking and writing. It’s a delight if used well, but to many people it is merely frustrating and illogical. But there is a reason in the rhyme and a cultural context that explains the whole terrible and terrific mess. Our language changes, and is changing still. It may be difficult, but it says a lot about who we are. This entry was posted in People & Culture and tagged modern english, Shakespeare. Bookmark the permalink. yeah english orthography is notoriously bad. roughly 32 vowel and consonant sounds, and not a single one has a unique way of writing it, nor does any written representation of a vowel or consonant have a unique way to pronounce it. Pretty amazing. But also not that hard – they figured out how to teach it with the “hooked on phonics” stuff, which was sadly left behind.